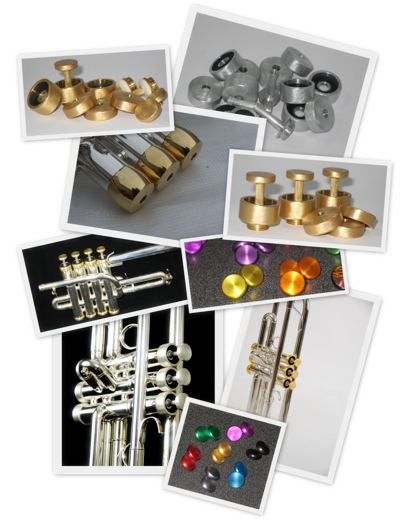 Full trim kits for your trumpet. Customize the look for you and your sound. We offer many different options on parts, but if you don't see a combination here that fits your needs, please contact us and we'll assemble a custom kit just for you. His knowledge, expertise and professionalism are hard to beat.